The next symptom of the age of Kali is the distressed condition of the cow. Milking the cow means drawing the principles of religion in a liquid form. The great åñis and munis [sages] would live only on milk. Çréla Çukadeva Gosvämé would go to a householder while he [the householder] was milking a cow, and he [Çréla Çukadeva Gosvämé] would simply take a little quantity of it for subsistence. Even fifty years ago, no one would deprive a sädhu [saintly person] of a quart or two of milk, and every householder would give milk like water. For a follower of Vedic principles, it is the duty of every householder to have cows and bulls as household paraphernalia, not only for drinking milk, but also for deriving religious principles. The word “tears” indicates the cows’ unhappiness and fear, the word “artificially,” designates forcible extraction methods used, and that which could not be mentioned in the “pages of Srimad-Bhagavatam” point to calves used for veal, and so on. He was well acquainted with how the tractor had replaced the bull in plowing fields since 1910. The dairy industry had begun injecting cows with growth hormones and other antibiotics since the 1930s. Strong pesticides had been used on agriculture fields since the 1940’s and cows were becoming confined to pens instead of pastures. No one understood the implications of man’s torturous inventions more than Srila Prabhupada who wrote about the link between sending millions of cows to the slaughterhouse and launching millions of young soldiers to fight and die on battlefields throughout the world. He knew that all American bovines would be slaughtered as soon as their fattening and milking periods had expired. He knew it was not possible to get pure commercial milk. Why only pure milk, it was impossible to get pure water, pure air, pure vegetables, pure fruits or pure grains anymore. Yet with all the pollution and adulterations, his mission was to establish the Vedic civilization on the basis of cows and their milk products. Thus, like a swan takes milk from a milk-water solution, Srila Prabhupada utilized essential milk leaving aside the contaminated consciousness of the dairy industry. It is most significant that to counteract cow slaughter he never refrained from using commercial dairy products for offering to the Lord, for his personal consumption nor for the eating of his movements’ followers. Why did he do so? He wanted to establish a civilization based on Lord Krsna, the cow and Vedic wisdom and to do that he would have to utilize whatever milk products were available in the market until his society could produce its own. There was simply no alternative to using cows’ milk for higher intellect and he knew that despite the adulterations found in modern milk the essential aspects of milk were retained. He decided to “make the best use of a bad bargain” by using commercial dairy products on the basis of Cäëakya Paëòita’s maxim: viñäd apy amåtaà grähyam amedhyäd api käïcanam (take the nectar from the pot of poison or take gold from a filthy place). He appealed to the intelligence of his audience but in order for them to understand his subtle spiritual message, they would require fine brain tissues—rejecting commercial dairy products was not possible. Srila Prabhupada wanted to create intelligent persons who could understand the philosophy of Krishna consciousness and convince others by logic and reason. In the vegetarian diet, milk plays an essential role by providing vitamin B12 (cobalamin). Most animals have micro-organisms in their stomachs that produce B12, but human beings do not. Their only natural sources of B12 are meat and milk. The body needs vitamin B12 to properly develop red blood cells. A deficiency can cause pernicious and megaloblastic anemia. For anyone trying to understand the subtleties of spiritual science, possibly the most important role of vitamin B12 is that it helps maintain proper functioning of the nervous system, including brain cells. Ninety percent of the B12 remains after pasteurization, and seventy percent remains after boiling from two to five minutes. His strategy proved extraordinarily successful—the spreading Krishna consciousness movement has produced a sizable army of sincere pure Vaisnava devotee/preachers dedicated to the task of cow protection. In addition, as a side effect, the movement has influenced virtually millions to give up eating meat for good. Some people criticized milk saying that it was unhealthy but Srila Prabhupada did not accept it. He knew that was a myth. In India, milk is usually boiled to kill the bacteria, and people drink the milk hot and sweetened with sugar. Prabhupäda taught devotees to drink milk “sipping hot”-so hot you have to sip it. Boiling the milk breaks down the protein so it is easier to digest. In America the milk is pasteurized but not boiled. It’s also homogenized, and people drink it cold. He said that cold milk loses its nutritional value. The theory of “lactose intolerance” may have some connection with these things. Srila Prabhupada knew that according to the Äyur Veda, warm milk straight from the cow promotes strength and stimulates the digestion. Hot boiled milk alleviates mucus and won’t put fat on the body. It also helps calm the nerves. He drank a glass of hot milk every evening just before taking rest. He knew that milk was full of vitamins and science confirms that it contains protein, carbohydrates, vitamins A, D, E, and K, calcium, niacin, phosphorus, magnesium, potassium, riboflavin, and sodium, as well as other minerals. Each of these nutrients makes an important contribution to human health. Proteins, for example, are composed of amino acids, which build and maintain body tissues, fight off disease, transport oxygen in the blood, regulate blood sugar, aid in making the hormones that regulate our metabolism, and supply energy. Calcium, also found abundantly in milk, is required for the blood to clot and for the heart to function normally. And it protects the teeth by neutralizing the cavity-forming acids in foods. Western science acknowledges that cow’s milk has been a used as a nutritious food source in human society for millennia. Another reason that Srila Prabhupada decided to make use of commercial dairy products was that man craves animal fat and blood. He knew that milk is actually the blood of the cow miraculously transformed into milk. The cow eats grass, the grass becomes blood then the blood becomes milk, which we can drink as it is or prepare it in many different ways. Srila Prabhupada knew that by using milk products, such as panir fried in ghee, which tasted similar to meat, the hearts of the non-devotees would change. He would use dairy products in prasadam to replace meat products in their diet. Although innocent cows used on factory farms were abused and butchered, Srila Prabhupada saw them as glorious mothers to man. As God’s representative in human society, it was his duty to engage the poor cows and other dairy employees, etc. in service to Krishna before their untimely deaths. If an innocent man condemned to death in a concentration camp wishes to present his only hidden treasure to Lord Krishna, the Lord’s servant will not refuse to offer it. Srila Prabhupada spoke of ajnata sukrti by which any soul who, even unknowingly or accidentally, renders some service to Krishna is greatly benefited and becomes elevated spiritually. The pitiable factory farm cows were like stranded devotees, without good association and Srila Prabhupada could not refuse to offer their milk and service attitude to Krsna. Why should their offerings be denied? Simply by Krsna’s drinking the witch’s poison milk, Putana was liberated back to Goloka in the spiritual world, then what to speak of the incarcerated cows who were giving their milk with no ill intent? Taking milk of cows that may later be slaughtered does not in any way condone cow-killing, and if they had the opportunity, devotees would close the slaughterhouses immediately. Srila Prabhupada knew it was the duty of intelligent and religious people to offer milk to the Lord and accept the remnants as prasadam. Thousands of generations of respecting and protecting cows could not be erased by a relatively recent Western slaughterhouse craze. The devotees of Krishna derive their philosophy and practice regarding cows and dairy products through the Vedic body of literature which has guided an enlightened society for a hundred thousand generations from the time Ramayana was written by Sri Valmiki Muni. The word “veganism” denotes a philosophy and way of living which seeks to exclude — as far as is possible and practical — all forms of exploitation of, and cruelty to, animals for food, clothing or any other purpose; and by extension, promotes the development and use of animal-free alternatives for the benefit of humans, animals and the environment. In dietary terms it denotes the practice of dispensing with all products derived wholly or partly from animals. Let us compare vegan and Vedic views regarding cows and dairy products. 1) Cows and bulls should never be killed by humans. a. Injecting them with growth-promoting hormones such as steroids, estrogens, progestins, etc. b. Cows should not be artificially impregnated for business. c. Cows and bulls should not be subjected to poor living conditions. d. Cows and bulls should not be fed unnatural diets including meat and fish by-products, etc. In a factory farm, when the cow can’t give milk anymore, she is slaughtered for her meat. Also, the male calves born at the dairy are sent to the slaughterhouse very soon after birth. Both vegans and followers of Vedic culture share condemnation of such action. 1) Humans engagement and/or acceptance of services from cows and bulls. 2) The health of dairy products for humans. 3) Calf-exclusivity for drinking cows’ milk. Let’s examine the differing views on these three issues. 1) Humans’ engagement and/or acceptance of services from cows and bulls. Animals should not have to work for humans and humans have no right to use animal products. Using dairy products is unnatural since no other animal except the human drinks the milk of another species. Appalled by the dairy industry’s collusion with the slaughterhouse, the vegan advocates shun the cow’s milk as well as her meat. All creatures (including animals, plants, insects, etc.) are meant to be actively employed in the service of the Lord with humans acting as chief organizers. The bull helps in the agricultural process of producing grain, etc., and thus in one sense the bull is the father of humankind, whereas the cow is the mother, for she supplies milk to human society. As soon as man stops working the bull and milking the cow he wants to kill them. they can use their brains to understand philosophy aiming toward self-realization and what Sri Krsna thinks about cows’ milk. B) Non-human species cannot milk cows (for lack of proper hands) yet practically all species of quadrapeds plus many reptiles, fish, birds, insects, etc. will readily consume dairy products if it is supplied to them. Non-human species also do not till fields and grow food grains but that is not a good argument for humans to refrain from using food grains. Cow’s milk is simply unhealthy for human consumption. Some leading vegan websites go so far as to say that “milk is pus!” and that “beer is better than milk for humans,” etc. According to Vedic science, milk has been recognized and utilized as an extraordinary healthful human food for millions of years. Milk strengthens the entire human body and nourishes the finer brain tissues facilitating the understanding of higher spiritual principles. The world’s longest surviving culture is based on drinking milk, the most valuable food. Neither chemically nor physiologically could milk be classified as pus. Pus is a thick whitish-yellow fluid which results from the accumulation of white blood cells, liquefied tissue and cellular debris and is commonly a site of infection. Pus has never been used by human society as a food source. Although some persons prefer beer to milk, that does not make it healthier for the humans’ body, brain, mind and soul. The active principle of beer is a drug molecule (alcohol) distributed to all the organs and fluids of the consumer’s human body, but alcohol affects mostly the brain. Like other general anesthetics, alcohol is a central nervous system depressant. Hangovers, the residual or “day-after” effect of alcoholic consumption, can result in symptoms of headaches, nausea, diarrhea, fatigue, dehydration, and body aches. To exalt beer over milk is quite irresponsible. 3) Cows’ milk exclusively for calves. The cow’s milk is meant only for her calf. The Vedas describe a natural relationship between God and the cows, and also between mankind and the cows. Cows’ milk is a divine arrangement to supply one of human society’s prime necessities. Lord Krsna personally emphasized the importance of cows’ milk for humanity by taking the occupation of a cowherd boy. The Bhagavad-gita ordains an occupation of cow protection for supplying milk products to humanity. According to recent statistics, the average cow yields 19,576 pounds of milk per year. This converts to 7,118 liters per year or 19.5 liters (approximately 5 gallons) per day. For the first ten days after birth, a calf drinks only its mother’s milk. According to agricultural authorities, a calf needs to drink its mother’s milk equaling about 1/10 of its body weight. The average calf birth weight is about 82 pounds, thus the calf takes about 8.2 pounds of mother’s milk for the first 10 days. After ten days, the calf starts eating grass in addition to taking mother’s milk to its “full satisfaction.” According to ISKCON’s Minister of Agriculture for Europe, a very experienced, compassionate and savvy person, that “full satisfaction” translates to approximately one quarter of the mother cow’s daily output or approximately 5 liters per day. At Bhaktivedanta Manor Farm in the United Kingdom, calves are weaned from drinking milk after about six months. The leaders there estimate that the minimum average lactation period for Western breeds of cows is about 3.5 years after giving birth to a calf. If we use 19.5 liters per day as an average yield, it means that a cow gives about 12,460 liters over the 3.5 year lactation period for each calf she bears. Of that, (12,460 liters or 3,296 gallons), approximately 900 liters are drunk by the calf. This equals close to 7.2% of the mother’s total milk yield. The remaining 92.8% of the cow’s yield is meant for human consumption which is why it has been practiced since time immemorial. The cow simply produces far more milk than her calf requires for health. On the other hand, mankind requires the milk products which provide all the necessary nutrients for its physical, mental and spiritual health. In an attempt to reconcile both vegan and Vedic conclusions, a new ideology called “conditional veganism,” materialized in the 1990’s. This term was coined primarily by a former devotee who hailed from a punk-rock/vegan background but who later became estranged from Krishna consciousness. In essence, conditional veganism acknowledges that man should engage and accept services from cows and bulls, including cows’ milk which is intended for and is healthy for humanity. A conditional vegan agrees, at least theoretically, to accept dairy products produced from protected and loved cows, however, the conditional vegan registers a complaint against all the farm factory’s atrocities by boycotting commercial dairy products. Conditional vegan assertion #1: The Gita Proposes a Non-Dairy Diet. Even in the Bhagavad-Gita Krishna says, “if one offers me fruit, vegetables, a flower or water…” That is a vegan diet! The exact meaning for the word toyaà according to the Technical Sanskrit to English Dictionary (© Robert L. Peck 2007) is “fluid” which is why Srila Prabhupada places milk in the category of toyam. Besides this, Lord Krsna is famous as a cow milker and milk drinker. Therefore, it will be mistaken to use the Bhagavad-gita verse to support a non-dairy diet. We cannot take one part of the lesson and reject the other and that is why it is imperative to hear from the guru in studying the sastras. Conditional vegan assertion #2: Veganism is the only Alternative for City-Dwellers. For those who live far from farms and must buy milk from the store, it seems that abstaining from milk products is the only choice. A vegan diet is the only option for cow protection living in the city. Devotees living in city centers of the International Society for Krishna Consciousness are basically trying to remove a thorn with a thorn. In other words, they are using modern technology to change modern technological society. Consequently, they sometimes have to compromise by drinking store-bought milk, but by their preaching in the cities, many people are becoming vegetarians, and therefore cows are being saved. If but one person is convinced to become a vegetarian by such preaching, many animals are saved each year. What if that person stays a vegetarian for the next thirty years? How many creatures are being saved? To be really effective, devotees need to situate themselves in the cities; otherwise, if tucked away in the country somewhere, the influence would be minimal. However, devotees do both—they’re in the cities and also in the country. And vegetarianism is just one benefit of ISKCON’s work, because if a person is Kåñëa conscious, he’s automatically going to be kind and gentle and possess all good qualities. Devotees are confident that the poor cows are greatly blessed when their milk is offered to the beautiful Deities in the temple. If city-dwelling devotees, living in temples and in private homes, boycott commercial dairy products, it disregards the policy Srila Prabhupada himself established. Conditional vegan assertion #3: The atrocities of factory farming are too overwhelming to tolerate. Consuming commercial milk products supports a cruel industry of animal exploitation. There are a growing number of organic farms today which do not use growth hormones and antibiotics on the cows and do not feed them meat products and do provide satisfactory living conditions for the cows. Consequently, several of the concerns voiced by conditional vegans are no longer unavoidable. We will discuss alternatives to factory farming in the next sections. 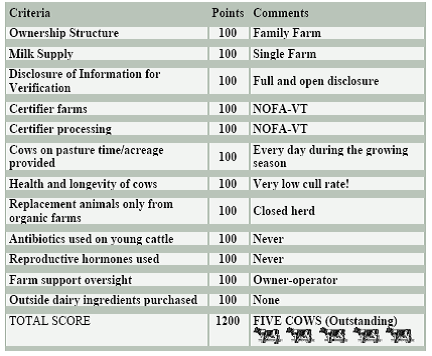 The top seven farms listed above scored perfect in all the categories of production used. A “Five Cow” rating is the best, “Four Cow” next best and so on down to One Cow” rating. The criteria for the rating are given below. APPENDIX 3: DAIRY BUYER’S GUIDE. loopholes in the current regulations. 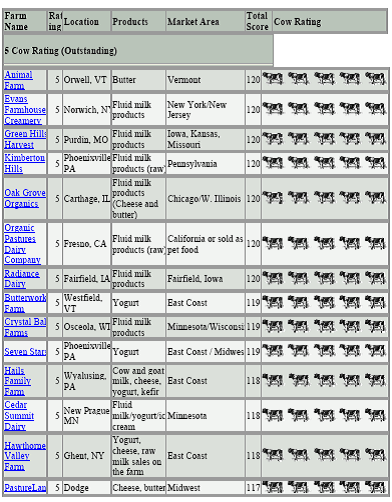 The rating system shown above is impressive, yet as of this date, there appear to be almost no farms in North America which never send the cows or bulls to slaughter, with the exception of ISKCON farms. The problem is that the ISKCON farms are not producing a very large quantity of milk due to many reasons. If there is a demand for totally non-violent dairy products, which is likely, then ISKCON farms may charge the price they require to cover their expenses and/or expand the number of farms. Successful Krishna-conscious farm models from around the world that fully utilize bulls for tilling and other duties should be implemented. An expert predicts that very soon farms other than those of ISKCON, will also supply dairy products from cows that are never to be slaughtered nor have their offspring slaughtered. Interestingly enough, just yesterday at the Sunday feast, a devotee who maintains cows, told me that he knows of a commercial dairy farmer in Iowa that does not send his milking cows to slaughter after they have ceased giving milk. He allows them to live out their natural lifespan. A complete dairy certification system including a special category for totally non-violent products would supply a consumer with everything knowable about all the dairy products offered in North America. The consumer would find out how much of the product is available, from what outlets, at what price, etc. This will encourage consumers to purchase the type of dairy product they wish and it will allow small dairies who may put forward higher quality dairy goods to sell them at a price which can sustain them. We can imagine how an ISKCON farm community will respond when they have standing orders for their highest-rated totally non-violent dairy products at the price they request. Such farms will be able to expand their milk production and protect more cows, giving more quality milk to Krishna and the public. As consumers, and as role models to millions, we need to understand the power of our food choices. In this way, a consumer who cannot tolerate to take dairy products from a company that abuses and slaughters the cows will have the means to find dairy products that meet his liking. Let’s fight fire with fire. This is a supply and demand market nation and we can now fulfill our demands. One misconception existing today puts forward that cow protection and milk production should only be implemented on a small scale by individual families. 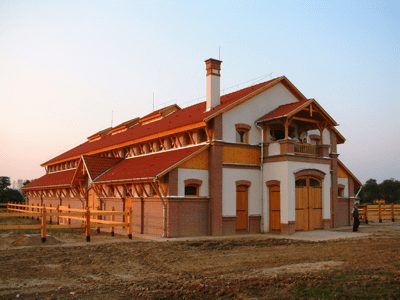 While it is surely ideal that every family maintains a cow or two for their family’s dairy needs, or a farm community only supply enough for its immediate use, modern city-living makes it difficult to implement. Although some devotee experts correctly caution that using petroleum conveyances to transport dairy products long distances is impractical in the long run, however, at present it is functional. We can successfully use the current available arrangement of dairy transportation for the meantime and at the same time push forward with great enthusiasm in developing our own sustainable farms. There is nothing wrong with vaisya businessmen organizing cow protection on a mega scale and turning a large profit from the milk. To a devotee in Canada, Srila Prabhupada confirmed that taking profit from selling home-grown food items was an acceptable means of acquiring funds. The vaisyas can market the excess milk products, make money and organize more cow protection. In the discussion below at Bombay, Srila Prabhupada appreciates the profits made from the Gita Nagari farm cow protection program. Below, Srila Prabhupada approves of the plan to have dairies with large number of milking cows. Prabhupäda: Somebody is proposing to give us some dairy land? Dairy. Tamäla Kåñëa: Dairy land in Agra? Tamäla Kåñëa: I heard also someone was proposing. One man who’s staying here now is proposing four acres in Agra. They went today to see it. I think Bhagatjé went and also Akñayänanda Mahäräja. They’ll give you a report on it. Perhaps fifteen years ahead of his time, a thoughtful devotee wrote the following in 1992. In my opinion, he has really presented a viable plan which deserves to be implemented in ISKCON tout de suite. If we are to establish Kåñëa consciousness, it is imperative that we live our philosophy and support cow protection by supporting employment of the cows and oxen. But it doesn’t seem we are doing so well in that regard. Looking over the information about the farms, I noticed with interest that only a small number of the cows are actually being milked. For example, at Gétä Nagari 2 of 69 were fresh [newly calved and therefore milking], and I suspect that more are dry than retired. A devotee friend of mine explained to me that it’s a matter of economics: the farms simply cannot afford to keep the cows fresh. I heard this with great astonishment. If we as a society are committed to cow protection, then we must arrange for it to make sense economically. Otherwise, as the article pointed out, cow protection will be abandoned. Every temple, I am sure, uses large amounts of milk products. Why aren’t these products of our own farms? My friend pointed out that the temples can buy dairy products from the store for less than what it costs to make them ourselves, because the store products are government subsidized. But is that an excuse? That means we value dollars above cow protection. As a society we spend millions of dollars a year to distribute books and prasädam because we understand the great need for these programs, even though they may not pay for themselves. Why should cow protection be considered less important? Many nondevotee vegetarians shun commercial dairy products because these products are linked to the slaughter of calves. Yet we, who profess to champion cow protection, buy these products instead of our own dairy produce because they’re cheaper. This doesn’t make sense, nor is it morally sound. We should offer our own nonviolent dairy products. Charge what we must, there are people out there willing to pay for it to support the principles they (and we) believe in. In our society I feel that we are not willing to pay the real price for our milk and this I feel is one of the reasons why cow protection is not being supported and promoted as much as it appeared when Srila Prabhupada was with us. Generally our farms, temples and restaurants buy cheap and consequently they seem not to have enough money to buy the farm milk products at a price that enables it to be produced. If our own ISKCON projects agreed to pay the real sustainable price for devotionally-procured milk then I am sure it will create a wave of new farms. This is the crux of the dilemma. High quality, devotionally-surcharged milk from loved-cows living on devotee farms costs more to bring forth than factory farm milk where government subsidies and every conceivable penny-pinching, cut-throat scheme is employed. Thus the price for cow protection’s higher quality milk should be borne in each gallon purchased. It’s kind of like buying books from BBT—others may print them but Srila Prabhupada wanted to use BBT for many strengthening reasons. Dhaneçvara Däsa will be pleased to know that the devotees in Europe are thinking along the same lines as he and have instituted a plan. HH Sivarama Swami says that the ultimate solution is to have farming communities as Srila Prabhupada wanted where cow protection is a priority. For this reason Srila Prabhupada said to keep as many cows as possible, which is a tall order. But if we do keep as many cows as possible, and if we have cow protection, and if devotees and congregation members are actually protecting those cows and maintaining them, then we can have enough milk to provide temples and congregation members and everyone with milk. At a recent ISKCON European leaders’ meeting, a regulation was passed obliging all temples, restaurants and projects to take vegetables and dairy products from the farm projects at the real price of production. The only limitation is that if by doing so the purchasing project comes under financial difficulty then they will not have to pay the full price. The supplier will have to present their financial information (if required) to justify any prices. The products will also have to be in a reasonable condition. This means, in a nut shell, that if the farm can supply the products that are being used, the projects have to buy at the cost needed to grow it. This regulation, in effect, gives a guaranteed market for our entrepreneurial growers. It significantly swings the weight in the favor of the grower and hopefully will give a significant boost to our farm production. This regulation is presently only applicable to Europe but may be of equal interest and benefit for all our farm projects. I agree that consumers within ISKCON and the greater society will pay the market price for higher grade (totally non-violent) dairy products if they know what goes into them and what happens and what does not happen to the cows that give the milk. Generating a market for premium protected milk will stimulate our own projects into remembering the value of home-produced milk. Then the next step will be to engage bulls in non-tractor, non-petroleum, non-violent agriculture for supplying our projects and others. No one has done more for cow protection in modern times than Srila Prabhupada. The Vedas consider cows’ milk intrinsically healthy and essential for human beings. The cows’ special duty is supplying milk to Lord Krsna and to humanity. Humans, acting as guardians, have dominion over the animals to engage them as assistants in the service of the Lord. A human diet without dairy products causes brain malnourishment and thus inhibits one’s ability to understand spiritual subjects. The highest ethical standard regarding dairy products is found in the Vedas. Non-Vedic man-made plans are flawed with the four defects of mistakes, illusion, imperfect senses and cheating. Accusing commercial dairy consumers to be guilty of complicity with cow slaughter is very risky for spiritual advancement. Non-devotee farms should be encouraged to let cows and bulls die naturally before eating them. To achieve a higher standard of diary products in the world. To realize sustainable devotional cow protection programs. Revive sustainable farms using successful ISKCON cow-protection models. Encourage temples, restaurants, devotees and friends of Krishna to purchase dairy products from ISKCON farms or, if unavailable, from other high-principled farms. Brahmanas should educate society about the importance of cow protection. Ksatriyas should become leaders in legislating cow protection. Vaisyas should personally take up the task of protecting cows and bulls or should hire others to do it. Sudras should assist the three other sectors of society in cow protection. Indicates a failure to understand the importance of milk for human society and especially for devotees of Krishna. Disregards God’s and nature’s arrangement of cooperation between humans and animals as pronounced in the Vedas, the Bible and the Koran, etc. Hastens slaughter of cows because milkless cows will be seen as valueless to human society. Is a dubious method of spreading Krishna consciousness. We do not expect the task of establishing cow protection to come easily but it is our duty to try our best. Anyone interested in participating in this project is invited to contact me. Hare Krishna.